400 block of West Grand Avenue, Lima — Police responded Sunday to a hit-skip traffic accident. 300 block of Calumet Avenue, Lima — A domestic violence incident in progress was investigated Sunday. 1200 block of North Baxter Street, Lima — Police responded Sunday to a domestic violence incident in progress. 200 block of West Grand Avenue, Lima — A theft was reported Sunday. 800 block of College Avenue, Lima — Police responded Sunday to the report of an alleged assault. 800 block of Richie Avenue, Lima — A breaking and entering incident was investigated Sunday. 400 block of Albert Street, Lima — A theft was investigated Sunday afternoon. 700 block of North Jackson Street, Lima — Police responded Sunday to a hit-skip traffic accident. 200 block of South Woodward Avenue, Lima — A theft was reported Sunday. 200 block of West Grand Avenue, Lima — Police received a report Sunday evening regarding an intoxicated person. South Jameson Avenue at West Elm Street, Lima — Police responded late Sunday to the report of a hit-skip traffic accident. 900 block of Bellefontaine Avenue, Lima — Police were dispatched Monday to a traffic accident that resulted in property damage. 1900 block of West Elm Street, Lima — A theft was reported Monday. 700 block of West Market Street, Lima — Police responded to the report of theft on Monday. 300 block of North Elizabeth Street, Lima — A theft was investigated Monday. 500 block of Catalpa Avenue, Lima — Police responded Monday to the report of a theft. 1400 block of Bellefontaine Avenue, Lima — A theft was investigated Monday. Allentown Road and North Cable Road, Lima — Police responded Monday to a traffic accident that resulted in property damage. 300 block of West Robb Avenue, Lima — A theft in progress was investigated Monday. 600 block of South Main Street, Lima — Police received a theft report Monday. 800 block of Brendonwood Drive, Lima — A report of the destruction of property was investigated Monday. 700 block of West O’Connor Avenue, Lima — Police responded Monday afternoon to the report of a robbery. 700 block of South Pine Street, Lima — A dog bite incident was investigated Monday evening; the animal remains at large. 900 block of North Cable Road, Lima — A report of the destruction of property was investigated Monday evening. Cook Park, Lima — A theft was investigated late Monday. 400 block of East McKibben Street, Lima — Police responded early Tuesday to a report of the destruction of property. 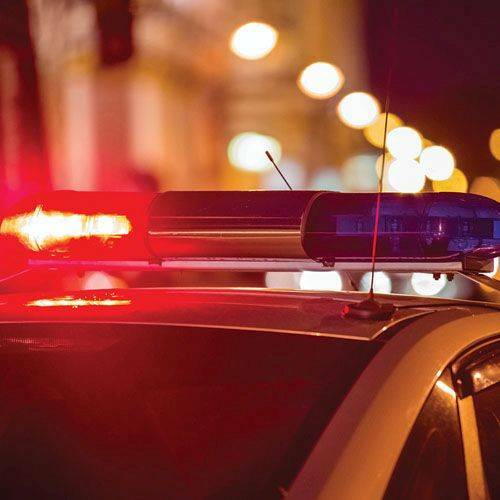 7800 block of East Lincoln Highway, Lima — A subject attempted to purchase items at the Speedway store on Friday using counterfeit money.